This is just a super quick DIY for parties/weddings. 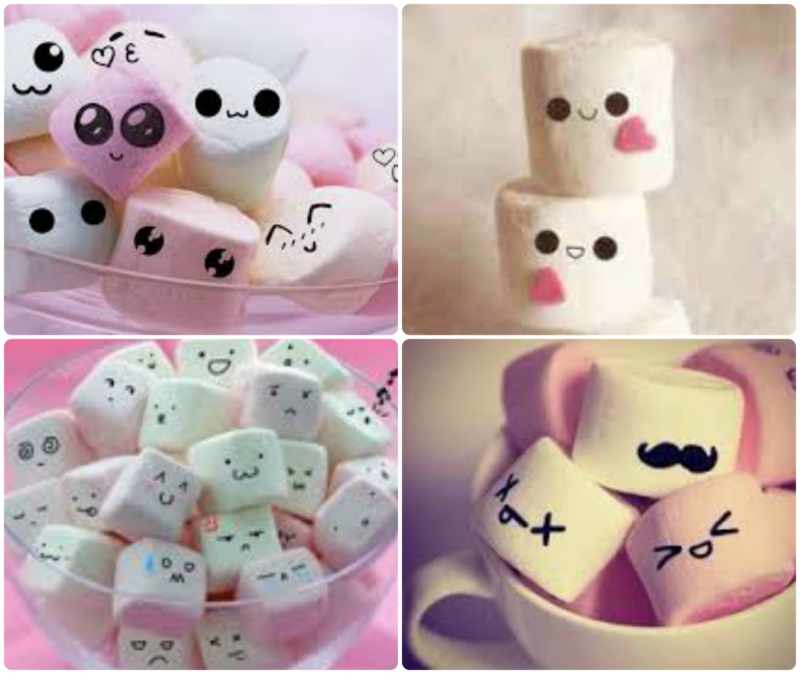 I'd seen pictures of marshmallows with faces floating around on the internet and quickly became enamored with them. I mean what's better than little balls of fluffy deliciousness with smiley faces! 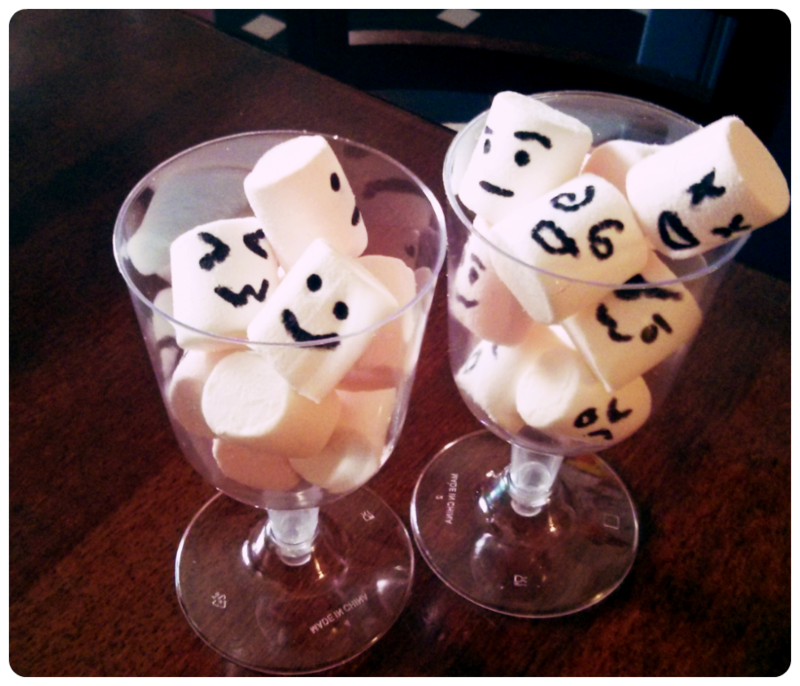 It was our niece's birthday party a little while ago and I was determined have the smiley faced marshmallows. Nigar (being the voice of "common sense") pointed out that the pictures I'd been looking at were obviously edited and that the smiley faces were added after the photo had been taken, so ours weren't going to look "as good". Nonetheless, armed with an edible pen we set to work. I picked mine up from Amazon but most baking type shops sells them too. It's super quick, and looks darn cute. I think I ended up eating most a few of them. I think this would look really nice just left on the table in glasses, as guests wouldn't have seen something like this before. A pretty unique idea, I think!